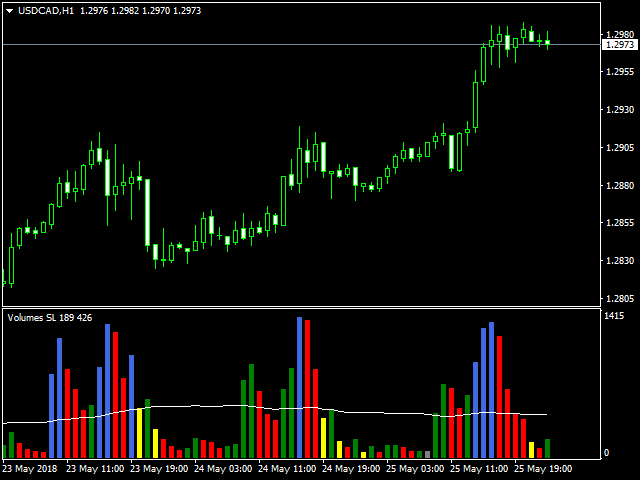 Indicator of tick volumes with the ability to monitor sudden and significant changes in the prices of bars relative to the specified coefficient - Change Factor - to the average value of volumes for a certain period of time - Period Signal. 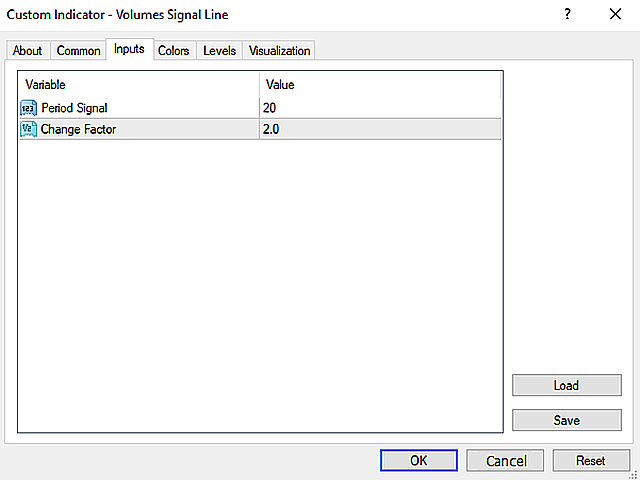 The color of the indicator's histogram characterizes the changes in volume of a bar relative to the previous session and the signal line. Change Factor – volume change factor. 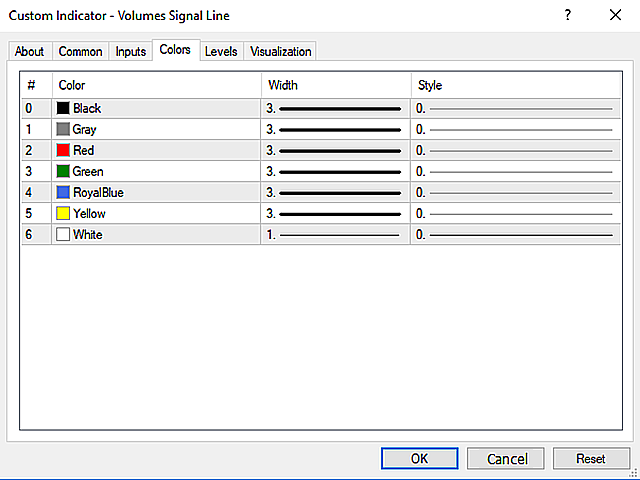 Yellow - significant decrease in volume, exceeding the Change Factor relative to the signal line.